SendBlaster is a company based in Sardinia, Italy. They started their software development business during the 90s and soon focused on making online marketing tools. They are most popular in Europe where they started their business but is already making a name in the worldwide market. One of their flagship products include the “eDisplay e-commerce tools” which has been used as a marketing tool by professionals in Italy for years. SendBlaster is an email marketing provider that uses bulk email software to help website owners manage their email lists and email marketing campaigns. All of this is available in one beneficial software. 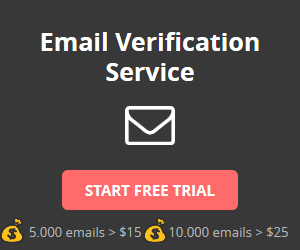 Save time, money and the effort of sifting through email lists. You can step up your email marketing game with the aid of SendBlaster. SendBlaster offers email marketing service for sending newsletters, transactional emails and more. You can easily send your messages in bulk, manage lists, send campaigns and at analyze all the active campaign data that you have. They offer 130 free email templates and available in different categories (such as nature, technology, sports, etc.) to help email marketers choose the perfect one for their campaign. If you want to have a customized design, you can purchase a tailor made template designed by a team of professionals. Create Email Newsletters – With MailStyler Newsletter creator, you can now compose perfect emails that render immediately without even using code. You can create optimized newsletters which is compatible with all email clients and senders. Mailing List Management – With the subscribe/unsubscribe function, you can easily update your email lists and send emails to the right people. You can also view detailed stats regarding your contacts, which of them are subscribed to your email campaigns and which ones are active. Send Your Email Campaign – Send your email campaigns without worrying about duplicate content, emails or recipients. You can also schedule your emails as to avoid flooding. Analyze Email Campaigns – With TrackReports, you can get data about mail openings, click rates and each of the user’s actions regarding your emails. You can use this data to change your timing, improve your newsletters and more. SendBlaster has a one-time payment offer for their Pro Version at $129. Does SendBlaster have FREE PLAN? No. SendBlaster doesn’t offer a free plan since they offer a free software. Does SendBlaster have FREE TRIAL? Yes. You can download the free version of the software and take advantage of the services available. FREE Version: You can download the software for free but there are limitations to the features that you can access. Pro Version: It’s a one-time payment with lifetime validity for only $129. Unlock software features and send unlimited emails with no additional costs per emails. Does SendBlaster offer an API? Yes. SendBlaster offers a free API, and this SendBlaster API is available for everyone to use. SendBlaster even encourages third party developers to create useful APIs and plugins. Are there other ways to contact SendBlaster support?